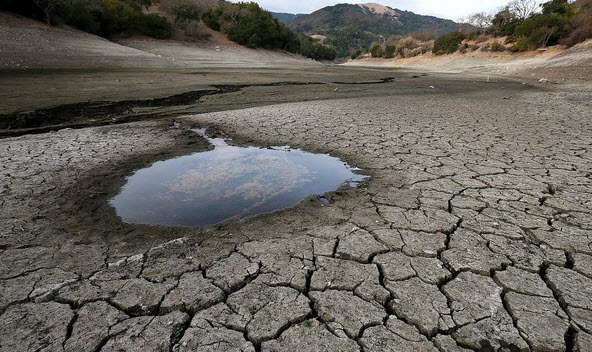 Washington D.C. – A recent study by NASA reports that the world’s fresh water bodies are depleting at an alarming rate. There are total 37 underground aquifers in the world. Out of these, 21 largest aquifers located in India, China, the United States and even France are drying out too quickly than they are filled back. NASA’s satellite data provided pictures of these depleting underground water servers. These aquifers are the underground source of fresh water for people across the globe. NASA carried out the study nearly for a decade. During this study by NASA, it was found that the amount of water removed from underground natural reservoirs is more than that was replaced. In fact, scientists at NASA were suspicious about excessive water being used by humans for industries, ever growing population and agricultural needs. It has now become an alarming situation as the water in these aquifers is not being replaced in equal amount through rains every year. Thus, the water bodies are depleting consistently. The aquifer study by NASA has come up with a data that notices that the water bodies are struggling to keep a pace with its excessive consumption of this water. The gravitational data gathered from the GRACE satellite system clearly shows that more than 50% of the aquifers across the world are being exhausted. The demand increases more during droughts. The study by NASA clearly remarks that the water situation is critical all over the world. Even in California, the Central Valley Aquifer is facing this issue as it is used majorly for irrigation. More number of water wells are being drilled in this area, making the condition worse. Though California has passed new regulations over the excessive use of groundwater; it will take at least a couple of decades to make this law effective. Till then, everyone has to be really careful with water usage. Otherwise, the day won’t be far when the whole Earth will dry out.